The Gallery of Accademia is one of the world’s great museums, which holds an important collection of Venetian paintings from the 14th to the 18th century and preserves masterpieces of the artists of Renaissance such as Bellini, Giorgione, Carpaccio, Titian, Tintoretto, Veronese and Tiepolo. The homonymous church of Santa Maria and the monastery of the Canonici Lateranensi are integral parts of the Accademia. 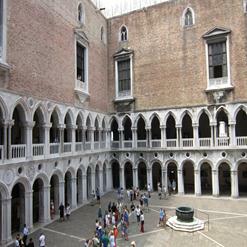 It is truly Venice’s one of the most significant art museums and also one of Italy’s best.